A crazy thought – What if email makes us less productive? 13th April 2018 13th April 2018 Dave ColleySuccessLeave a Comment on A crazy thought – What if email makes us less productive? When I give training on Mailbox Management I start by asking the question do you think email makes you more or less productive? The answer is typically – a pause, followed by less, much less – I even had one person I was coaching say that he was looking forward to going on holiday, as it was the only time he could keep up with his e-mail. E-mail was never designed to be used like this. Almost all productivity software and tools are about producing more, quicker, but what if this is wrong? 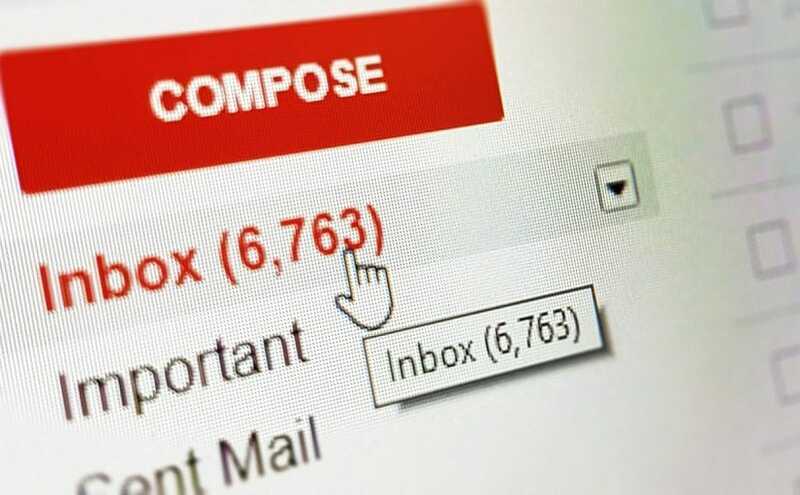 I have come to realise that very few people can effectively prioritise and one of the key reasons is the shear volume of emails received (and sent) daily. I often schedule my emails to be sent later, so I can manage when I receive a response. Productivity software often results in us majoring in the minor. With the alternatives just helping filter (like wearing headphones in a busy office) or speed up/increase the noise, rather than reduce it. What if we turned the game around? What if we tried to produce less? The productivity tools have been designed by people who assume that producing something quicker is better. Then lot of productivity coaching is about going analogue, visual and more focused on less, recognising we can’t multi-task, we merely rapidly switch between tasks resulting in each task taking 40% longer. Would more thought go into an email? Would people be able to focus on other things? Would people be able to stop majoring in the minor things? To be fair to email, it is not its fault, it is the way it is used. I remember when it first started and I sent an email from a friend’s house, then I came back a week later to check if there had been a response. We like sending emails as it gives an immediate positive completion feedback, something has been done, but we forget, sending an e-mail means that more are coming back our way, the more we send, the more we get. Think you get a lot of e-mails? – Check your sent items from time to time. Sure we my lose convenience, but what do we gain…convenience. They lose theirs, we gain ours. We can also give important e-mails more attention rather than have it diluted across the volume. Important things are missed and need to be chased (more email!). It has become a conversation with a lot of noise. Communication systems should serve, not intrude. What if we made meetings only being able to be set at a minimum of two days in advance and template had to be completed? The person setting the meeting had to say why each person was invited, complete a agenda and had to follow up with action points that included owners and target dates (tracked) or they couldn’t send the meeting invite or another one. Would we have less meetings? Would meetings be more focused? Would we plan our time and work better? Would we have fewer and more of the right people in meetings? Information sharing – Brainstorming/problem solving. Each could have a different template. Of course emergency meetings could still be set, but these would be fewer and scheduling would not need to be required. If it’s a true emergency it should surpass any existing priorities. What if the first thing a person did, when they logged on, was to set their top 3 priorities for the day and relevant people could see them? And at the end of the day had to comment on progress/completion before logging off? – Tracked daily. Would we be clearer on our priorities? Would we get more major things done? Sure we need to re-prioritise at times, but without knowing what our priorities are, we are just guessing as to what should be done first. Without clear priorities we revert to the comfort of the minor things which give us the immediate positive feedback. Anyone willing to give it a try? – It would need to be driven from the top. Shifting to this culture of working may not work for all teams, but it could work for a lot. By producing less of the minor, we can be more productive in the major.